he didn’t play in the champions league final and score the winning goals (that was his countryman diego milito). he didn’t play in the world cup final. actually, he had a rather weak game when germany massacrated argentina in the quarterfinal, with a superb individual performance by his direct opponent, bastian schweinsteiger. he didn’t score the two deciding goals in the europa league final, one of them in extra-time, score five goals in the world cup and be rewarded with the golden ball for the most valuable world cup player – that was diego forlan. actually, he ailed to score even a single goal in five world cup matches. he didn’t win the champions league and play the world cup final, scoring and assisting in decisive goals in both competitions – that was wesley sneijder, the dutchman. and of course, he isn’t a current world champion, even though he plays with some in football’s best club of the decade – those would be maestro xavi and world cup winning goal scorer andres iniesta. 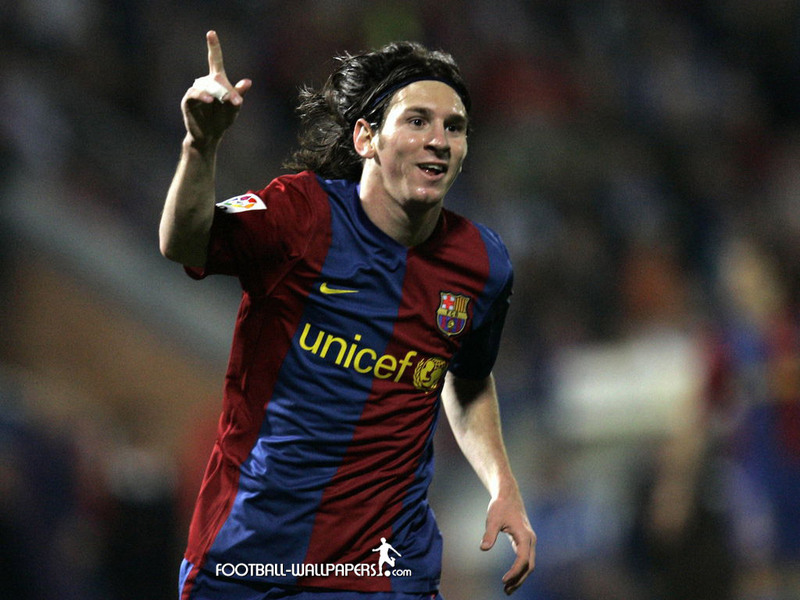 so why would i still pick lionel messi as the world’s best player in 2010? pretty simply put, because he is. although under a huge amount of pressure, he played a pretty decent world cup. he scores goals and passes the ball the way no one else can – and he does both things consistently, in high level matches. he had what can argueably be described as the best single performance of a football player in the history of the game in a champions league quarterfinal match against arsenal fc. now, take the 5-0 thrashing of fc barcelona over real madrid, the day before yesterday. messi, for once, didn’t even score, while david villa, world champion and 5-time goal scorer in the biggest tournament on earth, scored twice. and still, it was lionel messi who got the deserved attention – for a superb performance. sneijder, xavi, iniesta, even milito, schweinsteiger and robben had a more successful year. and even cristiano ronaldo has had quite a run since the world cup, let’s admit it! but don’t tell me any of them is better than lionel messi. not in 2010, and probably not in the years to come. Desculpa mister, o iniesta, sneijder, e milito jogaram muito mais do que o messi em jogos decisivos da champions pricipalmente na copa (menos o milito). É em copas do mundo que um jogador mostra se é genio ou craque (falta muito pro messi ser considerado genio) e o messi nao fez nada nessa copa. gostaria de te lembrar, caro samir, que até as quartas-de-final messi era considerado o craque da copa – e com justiça. não fez nada nessa copa uma ova! chegou ate as quartas com 0 gols e duas bolas na trave. Jogou no mesmo nivel do Sanchez do Chile, Honda do Japão, Robinho do Brasil etc. Iniesta melhor do mundo? Ta de brincadeira ein Samir hauaha, desde a final da champions league contra o manchester o cara nao joga naquele nivel. Teve muito tempo machucado tambem. Fez uma boa copa, gol na final e tudo, mas dai pra melhor do mundo? Ele marcou tipo uns 5 gols o ano inteiro se pa.. Pra mim o Xavi merece bem mais, ou senao o Sneijder..mas sim, eu espero que o Messi ganhe, pq ele eh o melhor do mundo, mas o Xavi merece pelo excelente ano q teve. Robinho do Brasil é zoeira, hein? jogador LIXO! Martin: entao a gente ta acompanhando dois iniestas diferentes porque ele DESTRUIU na copa do mundo. André: Não falei que o robinho fez um brilhante ano, falei que o messi jogou no mesmo nivel do robinho na COPA DO MUNDO e outros jogadores que eu citei acima. Iniesta had a good World Cup, but Xavi had the better season (and maybe even World Cup).